Wormtooth was interviewed by Pat Johnston of The Melting Pat Podcast on Next Level Radio. Listen to it below! The first official Wormtooth Music Video has been launched. Directed by CJ of Harrowgrove and starring Shizu Homma. Tour dates added for tour with Yuckmouf. It appears that Wormtooth has agreed to go on tour with Psychadelic Metal band Yuckmouf. who are touring for their forthcoming album “Psychotic Engines.” This news is both troubling and confusing. 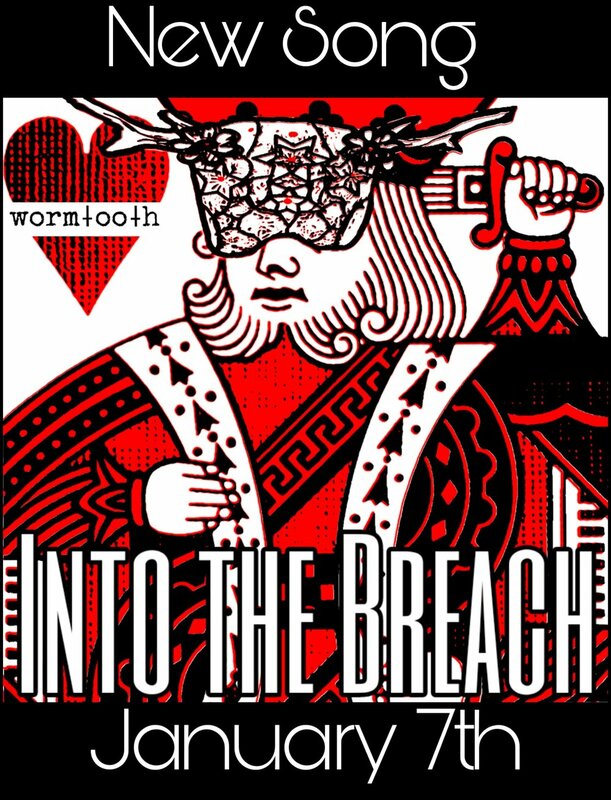 A Time Travel glitch has caused the first Wormtooth song: “Into the Breach” to leak into the past. While the list of events in the Decay Log was clear that the first Wormtooth song would appear 1.7.19 an anonymous source reported a song appeared the last couple days on multiple music platforms with a release date of 1.7.18. Though records confirm this song did not yet exist at this time. This is troubling and the repercussions are unknown. As per the Wormtooth Protocol all Tesseract Agents are to listen to this song and share it to prevent [redacted]. Big things on the way. 3 Shows updated on the Live section. Check out the 3 upcoming shows. Stay tuned as big things are coming soon. Show on 12/1/18 at Huggy Bear Manor. With The Jordyn Show, Alpha_Alpha, and Man Like Machine. Check the "Shows" section or find the event on Facebook: https://www.facebook.com/events/181670179337427/ to get advanced tickets.